Our range of products include cast basalt bends, cast basalt lateral, cast basalt tee, cast basalt y-piece, cast basalt tiles / bricks and cast basalt reducer. Nominal Size As per customer requirements. Material MS Bends Lined with Cast Basalt. Single Piece Length As per customer requirements. Application As per site application. 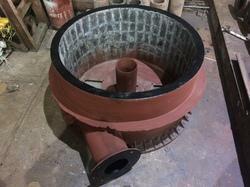 Size/Diameter From 50 mm upto customer requirement. We are a leading manufacturer, supplier and service provider for Cast Basalt Lined Bends of different sizes start from 50 NB upto 600 NB apart from that, we are carried out Cast Basalt Lining through various types of sizes from Tiles or Bricks only. 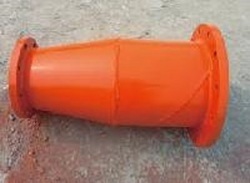 Single Piece Length As per customer requirement. Size/Diameter From 50 mm upto customer requirements. We are a leading manufacturer, supplier and service provider for Cast Basalt Lined Laterals of different sizes start from 50 NB upto 600 NB apart from that, we are carried out Cast Basalt Lining through various types of sizes from Tiles or Bricks only. 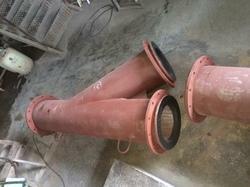 Application ASH SLURRY,FLY ASH,PNEUMATIC etc. We are a leading manufacturer, supplier and service provider for Cast Basalt Lined TEE of different sizes start from 50 NB upto 600 NB apart from that, we are carried out Cast Basalt Lining through various types of sizes from Tiles or Bricks only. We are a leading manufacturer, supplier and service provider for Cast Basalt Lined Y-PIECE of different sizes start from 50 NB upto 600 NB apart from that, we are carried out Cast Basalt Lining through various types of sizes from Tiles or Bricks only. We are a leading manufacturer, supplier and service provider for Cast Basalt Tiles / Bricks Lining as well as Trench Lining too of different sizes such as Square, Rectangular, Round, Radial, Hexagonal and Boltable etc. 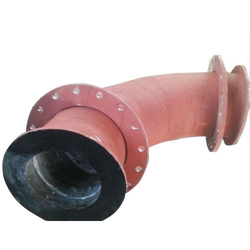 We are a leading manufacturer, supplier and service provider for Cast Basalt Lined Reducer of different sizes start from 50 NB upto 600 NB apart from that, we are carried out Cast Basalt Lining through various types of sizes from Tiles or Bricks only.